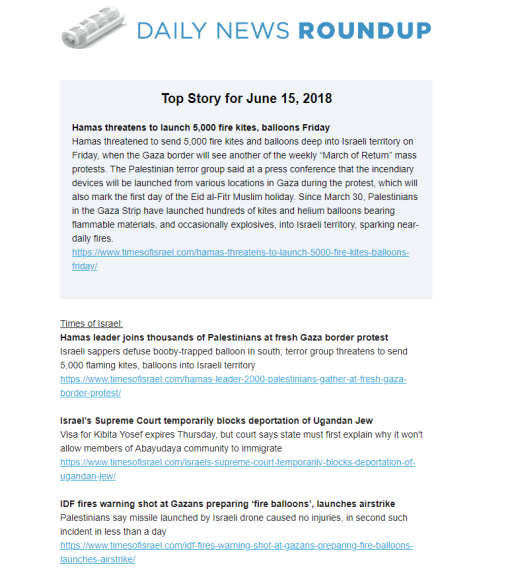 Want the latest news on Israel delivered to your inbox every morning? Sign up for CJP’s Daily News Roundup. We scour leading Israeli, U.S., and international news sources to find the stories that matter most. Get all the critical issues, events, and headlines compiled and delivered by 9 a.m. each weekday. Sign up today!